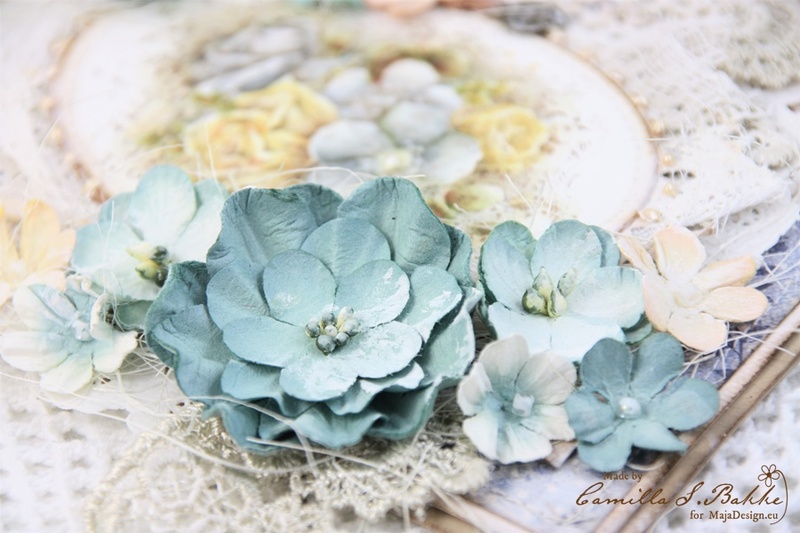 Say thank you with a flower card! Hi dear crafting friends! 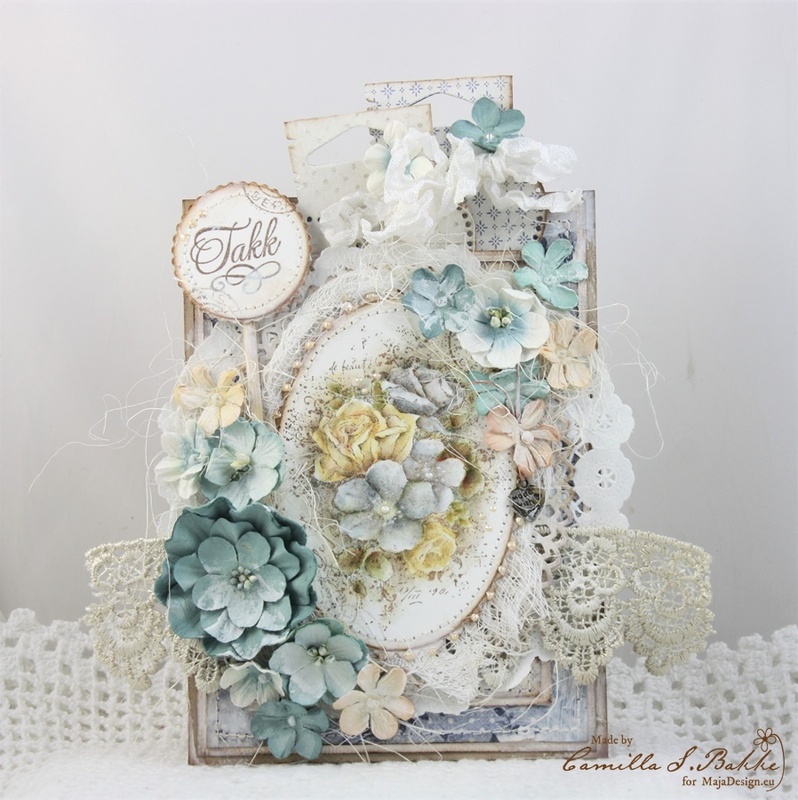 Here I am back with a card using lovely papers from the Denim & Friends collection, together with a beautiful stamp from Stempelglede and flowers from the lovely Petaloo by Flora Craft. I just love this collection, as blue is my favourite colour to work with! Aren’t these flowers from Petaloo just stunning!? The image is a stamp from Stempelglede, and I have used Distress ink, re-inkers for my colouring. Look at these beautiful Petaloo flowers!! I have added som white Gesso on to them as well. Takk “Thank you” is a stamp from Stempelglede. I have used Spellbinder dies and a barbecue stick to fasten it on. We have been specially sponsored by Petaloo by FloraCraft. You can also find them on Facebook HERE. A short while ago we revealed the new team for next year. And as much as we know that 2016 will be awesome, we also know that we will look back at 2015 with honor and grace. It’s been a year filled with wonderful inspiration from our fantastic team, and we can’t with only words describe how grateful and proud we are, to be able to work with these talented ladies close up and to enjoy their fabulous work with our products. It has been a real privilege, I can assure you that. As sad as it is, some of the team members will not follow us into the new year. Irene has a beautiful exotic style like no one else – innovative, unique, bright, and amazing. It’s been an honor to see how Irene adapts our collections to her style and makes them shine like stars. Thanks, Irene, for taking us to new levels of creativity. You are a treasure to our Maja Design family. We wish you the best of everything. 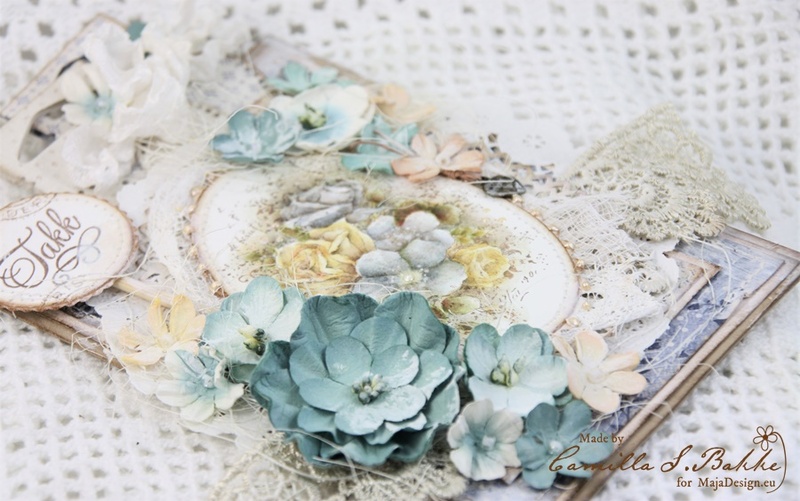 Cathy‘s vintage shabby chic style brings a gorgeous warmth to all she makes. It’s been an honor to see how Cathy has been inspired, and how she in turn creates her spectacular art to inspire people around the world. I know there are folks who have fallen in love with Maya Design just because they happened to see a project that Cathy created. Now that is true talent and a gift. Thanks, Cathy, for sharing your love of paper crafting with us and for being an inspiration to so many. You are a treasure to our Maja Design family. We wish you the best of everything. Jelissa‘s bright, happy and innovative talent has been a joy to behold. With each project Jelissa made, we were sure to see the most unique twist and freshest beautiful design. Thanks, Jelissa, for inspiring us to think brightly and boldly. You are a treasure to our Maja Design family. We wish you the best of everything. 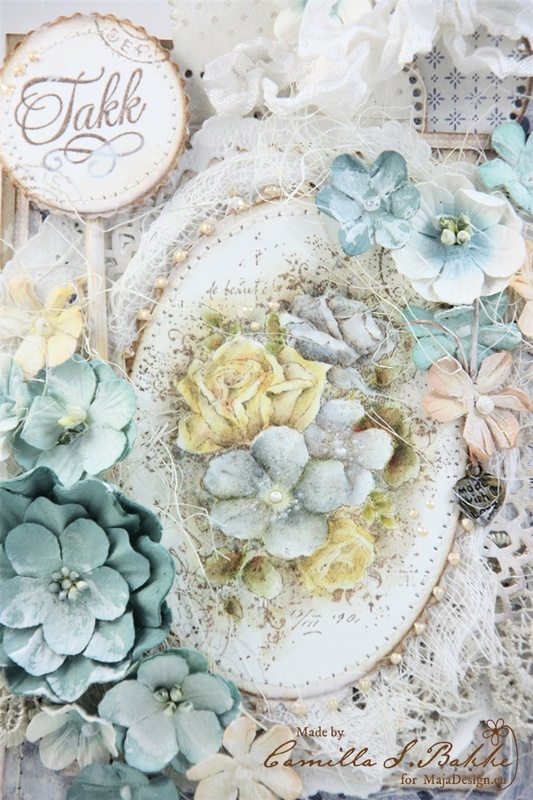 Heidi has a graceful vintage style that we adore – gorgeous details and delicate touches that make our collections stand out. 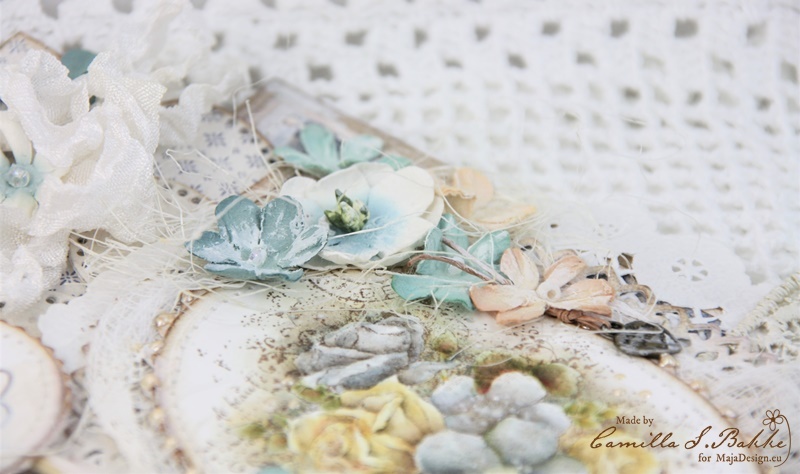 Her exquisite layering makes each card and tag a work of art. 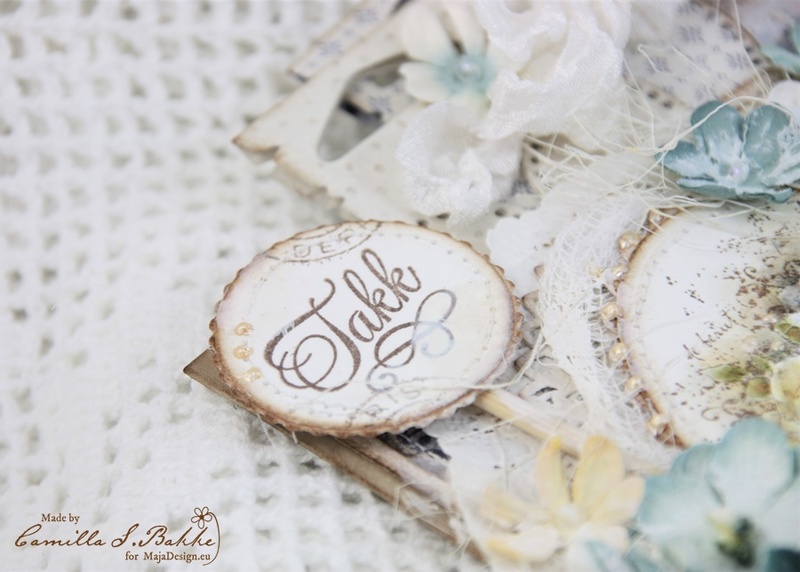 It’s been an honor to see how Heidi uses each collection to share with others through the cards and tags she makes. I know they are bringing true joy to those who receive them. 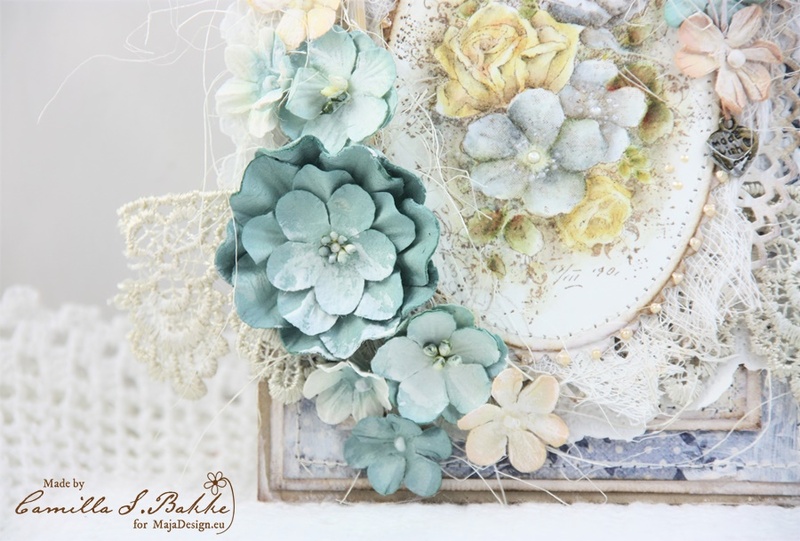 Thanks, Heidi, for sharing your love of paper crafting with us and for being an inspiration to so many. You are a treasure to our Maja Design family. We wish you the best of everything. A huge, huge THANKS to all of you..! We appreciate your devotion and all the hard, and wonderful, work you’ve been doing during this past year. And, of course – a huge THANKS to all the other team members that has been creating magic with us during the year..! Maja, Elena, Gabrielle, Rachelle, Amy, Pascale, Evgenia, Jennifer and Silje Kristin. You are all amazing and we are so proud to have you with us yet another season. And, last – a huge THANK YOU. Thank you for keep coming back here, to search and find inspiration. For spreading our name around the globe and for buying our papers and supporting us. Without you, we wouldn’t be here. All the love from us and a Happy New Year..! We’ll see you in 2016.